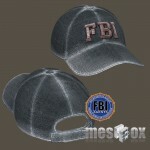 FBI Agents for Norm™ brings to life any FBI investigation! 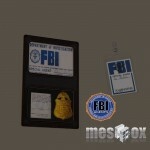 This clothing, props and pose pack transforms the free Norm character into investigation or crime scene investigators of the FBI, complete with realistic FBI jackets and hats, plus all the equipment you expect them to have. 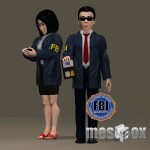 FBI Agents for Norm™ works with Poser 7+ and DAZ Studio 4.5 or higher. Order through Mirye Store and through Content Paradise. Requires Norm (Norm not included, but free from Toon People). 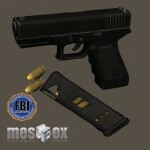 FBI Agents for Norm™ includes specialized props, 29 texture and bump maps, and customizations to Norm. 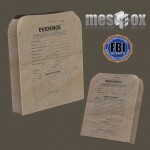 Most objects also include OBJ versions for easy customization. ALSO includes Undercity Volume 1 Backgrounds Collection Indie Version ($7.50 value), a collection of 24 1200 x 800 professional backgrounds you can use to make your crime scene artwork! Fully compatible with base Norm model. Norm is a FREE model from the Toon People™ series from Meshbox Design, a series of toon styled human character models compatible with Poser and DAZ Studio. 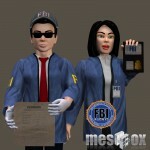 Norm and Norma, the male and female characters of Norm, are regularly updated with new expressions, morphs and clothing. You too can make your own characters based on the FREE Norm character under the included license. You can find Norm on the Toon People website. Also check out other free characters such as Chunk™ and Slim™.